Need a little inspiration for your next fancy event? Check out our favorite Elegant Red Carpet Hairstyles! There are a ton of different ways you can wear your hair to a Red Carpet event, but who wants to have to worry about having hair fall in their face while mingling? This is one of the many reasons we LOVE ponytails! Elegant ponytails that is. No matter where that red carpet leads to, looking elegant while walking down it, is a must. Blake Lively always looks incredibly stunning, but when she hits the red carpet she slays!! To achieve this hairstyle she first puts half of her hair up in a high pony and then the other half in a low pony. She then connects the two with three hair bands spaced out throughout the ponytail. This look is elegant yet versatile enough to wear out anywhere! Nina Dobrev is beautiful inside and out with her quirky, cute personality and great sense of style. For this red carpet event she chooses to stay classy with the slicked back ponytail look. Instead of finishing it off with straight hair, she does a fishtail braid all the way down to the ends to complete the look! Kylie Jenner wears her hair in a messy low ponytail. She makes this look a bit more elegant by making sure the top of her hair is smoothed back and the fly-aways are strategically placed to shape her face. This hairstyle can also be worn to any occasion, not just red carpet events! Which Elegant Red Carpet Ponytail did you like the best? 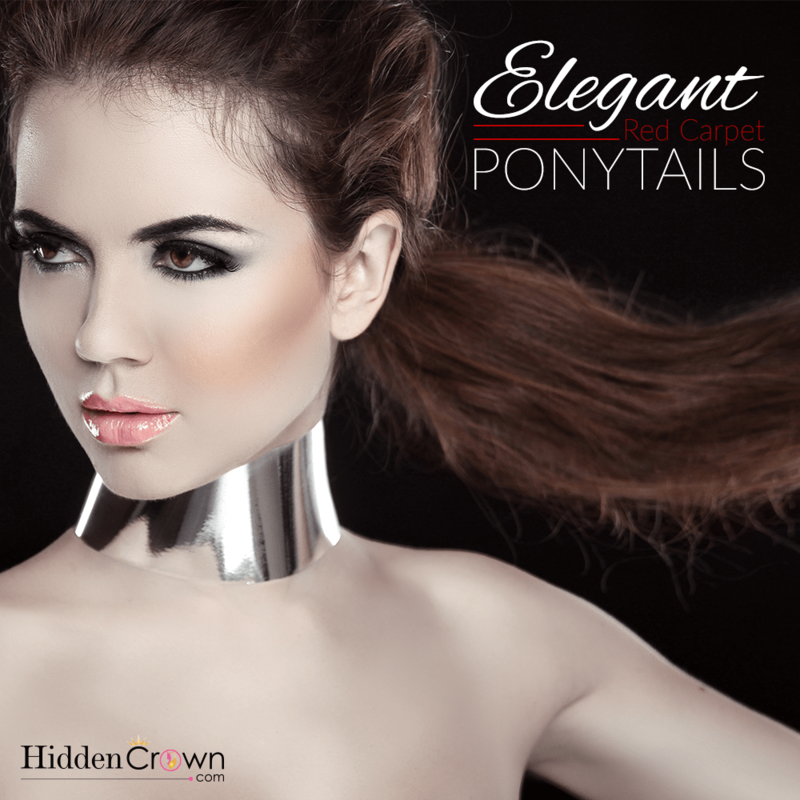 Don’t forget to try these out with your Hidden Crown hair and send us your photos of the finished hairstyle!